On November 5, 2014, a panel of the U.S. Court of Appeals for the Fifth Circuit refused to reconsider its June 2014 decision affirming the District Court’s decision that B.P. Exploration & Production, Incorporated and Anadarko Petroleum Corporation can be held liable for violating the Clean Water Act (CWA) in connection with the massive Deepwater Horizon oil spill in the Gulf of Mexico. BP and Anadarko owned and operated the well, but they argued that the floating rig, owned and operated by Transocean (which has already settled its liability) and not the well was the source of the oil spilling into the Gulf of Mexico. In the earlier ruling, the panel held that under the plain terms of the CWA, the defendants were liable because “there was no dispute of material fact that controlled confinement of oil was lost in the well”, and that the well “was a point from which oil or a hazardous substance was discharged”. BP and Anadarko argued that it was the Deepwater Horizon rig and its appurtenances constituted the point at which control of the oil was in fact, lost. On January 9, 2015, Fifth Circuit issued another ruling, rejecting the petitioners’ request for a rehearing en banc. The vote rejecting the petition was surprisingly close, 7 to 6, with two abstentions. 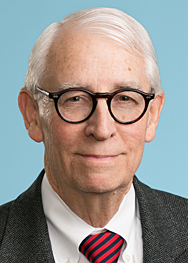 In a vigorous dissent, Judge Clements stated that the denial of the petition “ensures that our precedent concerning liability for oil spills under the Clean Water Act remains unclear”. The panel’s “controlled confinement” test does not follow from the text of the Clean Water Act, and, moreover, Fifth Circuit precedent in ambiguous civil penalty cases should be resolved in favor of the defendant, and this precedent was not followed here.